When Media Comes Calling: Prepare and Deliver! Home > When Media Comes Calling: Prepare and Deliver! So you have landed the interview or you have been booked for a media panel, now what? This workshop will offer up skills and tips on how to prepare for a print, radio or TV interview, how to deal with challenging interview questions, and techniques to make sure your key messages are delivered. Participants will get hands-on practice and take away tools that will help them prepare for and leverage media opportunities. Register for When Media Comes Calling: Prepare and Deliver! A journalist for almost two decades, Tim Fontaine has worked for APTN National News, CPAC, CBC Manitoba and most recently as lead reporter for CBC Indigenous. 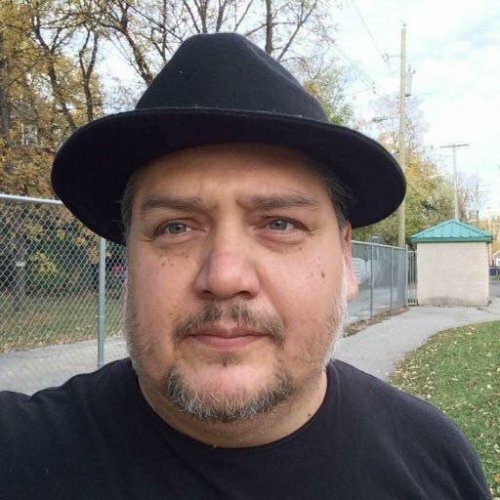 A member of the Sagkeeng First Nation in Manitoba, he has also produced documentaries for iChannel in Toronto, including a series called The Trangender Project, which was nominated for a Canadian Screen Award in 2015. As the driving force of The Story Source, Cate Friesen brings together 25 years of experience as an award-winning CBC producer, storyteller, documentary maker, performer and coach. She was part of the team that created CBC’s multiple award-winning interactive Missing and Murdered: The Unsolved Cases of Indigenous Women and Girls and, as a freelance broadcaster, she produced feature documentaries for CBC Radio. Cate volunteers as a pro bono consultant for Spark and a board member for West Central Women's Resource Centre.